Another year has almost passed but before we close the book on 2018, FreshPlaza would like to take you on a short trip, to focus on the big events of the year. Whether it was the busiest fair of the year in Berlin or the extreme weather conditions, such as floods or drought like we’ve ever seen before, let’s take another look at the major stories of 2018. The year started off with some exciting berry news from China. The president of China’s Blueberry Association pointed out that China was set to become the world’s largest market for blueberries. Although the market started at a literal zero before 1983, it has since grown at an exceptional rate, reaching a surface area of 46 thousand hectares and an output of 115 thousand tons. China also introduced a different kind of berry in January; the Japanese multi-colored strawberries. With colors ranging from classic red, to peach and even white. The global surface temperature in 2017 was the second warmest since 1880, according to an analysis by NASA. 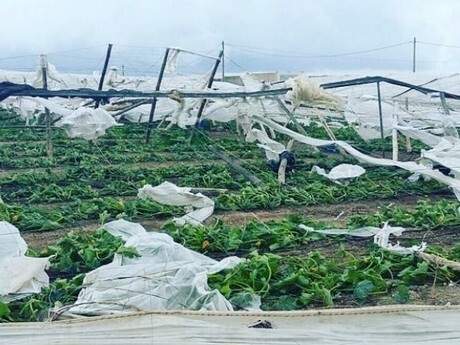 The weather continued to play a big role in 2018, when we saw a tornado destroying 200 hectares of greenhouses in Spain. Different parts of the world were experiencing different kinds of extremes, as the U.S. had to deal with a bitter cold, while Australia suffered intense heat. India lost 114 people in a single day due to the cold weather. Florida had trouble recovering from the cold, as the rain stalled any efforts. Californian avocado growers had to deal with immense fire damages, while wind and hail destroyed crops in the South-western Cape in South Africa. To close it all off, nothing less than a cyclone caused devastation on a large scale in New Zealand. Near the end of January, news reached the world that one of the UK’s most loved fruit and vegetable legends had passed away. Charlie Hicks was known for his hilarious market reports for Total Produce. With 2017 not being the greatest year for avocados, there was a certain hope that this year would be a lot better. 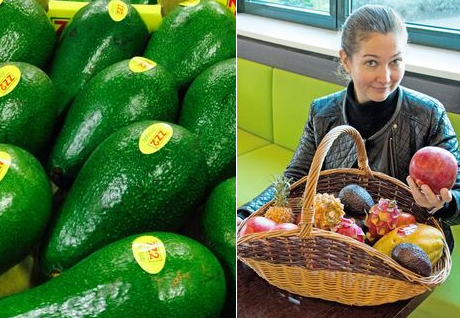 Although California had troubles with the weather, as mentioned before, there seemed to be an increased demand for avocados from New Zealand on the Indian market. In Kenya there was an export ban for the avocados due to a shortage on the local market, but it was thought that the later start of Kenyan avocados wasn’t such a bad thing at all. After conquering the Indian market, New Zealand was allowed to start exporting their avocados to China. Of course Europe could not be left behind, as their demand for the tropical fruit started growing, ahead of Fruit Logistica in Berlin, which would be an excellent opportunity to showcase the Hass variety. During this time we published a global overview of the avocado market, to pinpoint even more trends in the different regions. For instance, at the end of February it seemed as if this was finally the year for South African avocados, oh and did you know squeezing an avocado is bad for the fruit? In company news, reports came in that Total Produce had agreed to buy a 45% stake in rival fresh produce company Dole. This investment cost Total Produce 300 million USD. Citrus globally had to deal with multiple issues, for starters the sizes of the Pakistani kinnow mandarins turned out to be relatively small. More serious was the study that claimed the citrus black spot disease was present in Europe. The European Food Safety Authority reviewed the study and noted there were quite a few limitations. 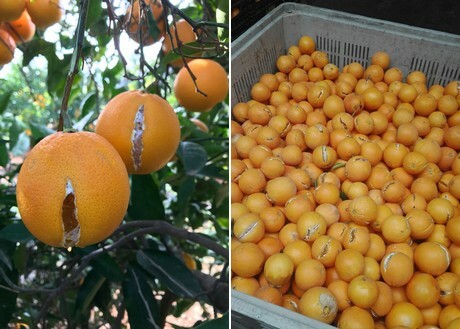 The Valencian citrus had to deal with cracking, damage was found in the three Valencian provinces. There were uncertainties regarding the insurance payouts. There were claims of a lack of citrus for processing, which led to higher prices. In China, citrus greening disease caused a drop of 70 to 80% for Gannan Navel orange, which lead to China’s major production moving north. Not everything was bad news though, as Citrus in California seemed to flourish and had great crops during the easy-peeler season. There was also a significant shortage on the banana market, according to a Dutch importer. This inevitable also lead to higher prices, with the market expecting a perfect storm. Prices between the country of origin and the prices in Europe had a huge gap between them.